South Africa's rugby union will scrap a rule that requires overseas-based players to have at least 30 test caps to be eligible for Springboks selection as part of a "radical" overhaul of its contracting system. The 30-cap rule was instituted at the start of 2017 in an attempt to stem a growing tide of players turning their back on South Africa to sign more lucrative contracts at clubs in Europe and Japan. SA Rugby said the rule would be shelved in a new model which will see home-based players get top-up payments from the governing body according to a new ranking system. 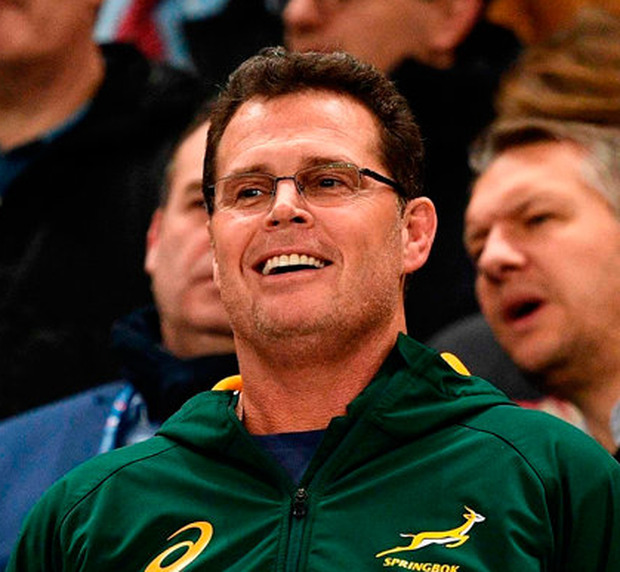 "We have been agonising over how to keep players in the country since the game went professional more than 20 years ago and the bottom line is that the Rand is too weak and the economy of South African rugby too small to compete," Springboks coach Rassie Erasmus said in a media release. "A South African player can earn more from a two-month contract in Japan than he can if he were to win the World Cup with the Springboks this year. That's the reality we have to face up to." SA Rugby is to significantly grow their number of contracted players with a focus on succession planning to ensure those who do leave the Bok set-up are more easily replaced. "In recent years we have focused on trying to retain a small number of high profile players. But it has been a small group and many of those players end up leaving anyway. "Last season those contracted players only appeared for 38 percent of their available time. Once we have done our work, the new strategy could see as many as 75 players in Springbok succession planning and being financially rewarded for it. "We had to disrupt the model." Erasmus also warned overseas clubs he would rigorously enforce the World Rugby's Regulation 9 that guarantees players are available for national team duty 14 weeks of the year. The Boks have in the past compromised with clubs to allow them to retain players during the Rugby Championship and November Internationals. "If the clubs don't like that then they have the option of not signing the player," Erasmus said. "We've got to deal with the practical realities and stay focused on our objective, which is to field the best available 23 players who really want to play for the Springboks and who are prepared to make sacrifices whether they are playing here or overseas." Erasmus believes the new measures are essential if the Boks are to remain a force in world rugby, and the franchises competitive at Super Rugby level. "This way we incentivise and encourage a broader group, subsidise the franchises by giving a larger number of players additional income and put in place proper succession planning," he said.